As we approach Rosh Hashanah (which begins tomorrow at sundown – the earliest it has been in 115 years! ), we look forward to an even more productive year ahead and thank you for helping us "preserve our history for future generations." 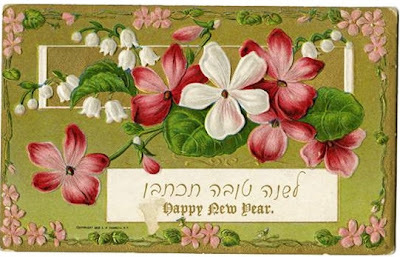 Please accept our warmest wishes for a Shana Tova, a happy and healthy new year, and a K'siva V'chasima Tova. *Postcard is from the collection of the Museum of Jewish Heritage - A Living Memorial to the Holocaust. The card, from 1909, offers New Year greetings in English and Hebrew.